The Gahcho Kué project, in Canada's N.W.T, is the largest new diamond mine under development globally. Anglo American’s (LON:AAL) De Beers could see its share in the diamond market recover after the company starts mining at its Gahcho Kué operation, located in Canada’s diamond-rich North West Territories. The project, co-owned with Mountain Province Diamonds (TSX:MPV), which has a 49% stake, consists of a cluster of four diamondiferous kimberlites, three of which have a probable mineral reserve of 35.4 million tonnes grading 1.57 carats per tonne for total diamond content of 55.5 million carats. And while operations are not expected to begin until late 2016, the companies involved in the project are already counting the days. 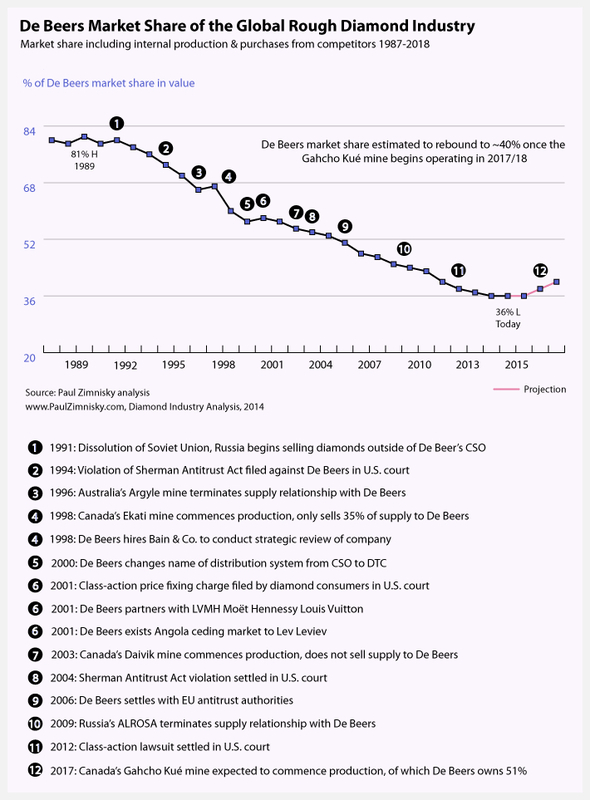 The reason, explains expert Paul Zimnisky, is that De Beers’ market share has dropped from about 80% in the late ‘80s to roughly 35% today. 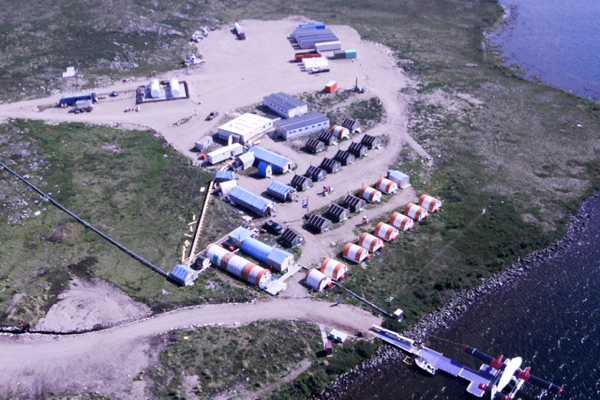 Using current estimates, he believes the addition of Gahcho Kué production to De Beers portfolio would raise the company’s market share to 40% by 2018. Still analysts think De Beers is the best asset within Anglo’s current portfolio, as broker Investec said in a note released Tuesday. Source: Paul Zimnisky, Diamond Industry Analysis 2014. Competition from synthetic diamonds could threaten the industry since human-made stones can appear identical and in some case are chemically identical to the real thing. De Beers and a group of gemology labs have recently developed a device to detect fake stones and the industry has worked hard to maintain the allure of natural diamonds. Rough diamond prices have, in fact, climbed 3% over the last few months and Bain & Company and the Antwerp World Diamond Centre (AWDC) predict prices for the gems will continue to increase until at least until 2018. Image courtesy of De Beers Canada.